We all know that getting outdoors is the best therapy for our mental and physical wellbeings, but sometimes our outdoor adventures can wreak havoc on our personal hygiene, especially if our favorite trails frequently take us far away from the nearest fresh water sources. Thankfully, it’s 2017, and health and wellness companies are taking note of the mass migration of women looking to reconnect with nature while maintaining that fresh, clean feeling. Here are my top 5 favorite waterless beauty essentials to help beat the stink and refresh after a long day on the trail. One of my favorite outdoor skincare lines is Balleck, previously known as Cammi and Company. Started by Cammi Balleck, an ANCB board certified naturopath from Colorado with 14 years of experience, Cammi crafted all her skincare products to be scentless, waterless and good for your skin, with probiotics and adaptogen herbs blended into each product. Gunk Off is her newest product, a rinse-less “shower in a bottle,” perfect for washing hands, faces and even for removing face paint and eye makeup! Featuring witch hazel and medium chain triglycerides, Gunk Off will leave you feeling fresh and clean while protecting the environment. Cammi is offering a special deal for The WON readers: Use code IMALLGRIT for $10 off your first order and receive a FREE Conquer Cream! Offer valid on all Balleck products. While $64 may seem like a hefty price to pay for sunscreen, let me tell you, Sunforgettable Brush-On Sunscreen by Colorescience is worth every penny. 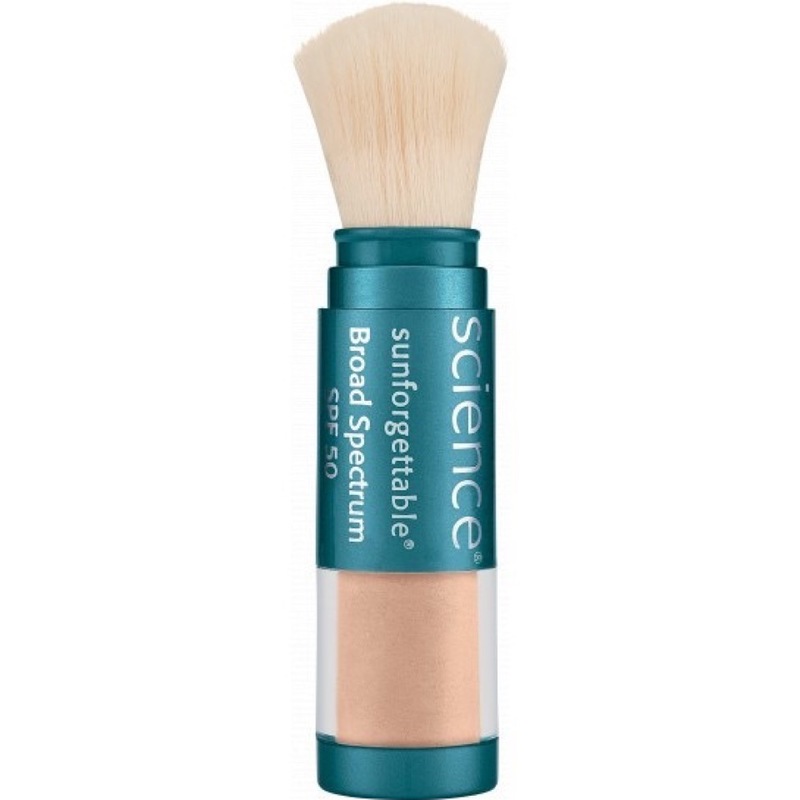 Not only is it packaged in a convenient, portable travel tube with attached brush (and not just any cheap, scratchy brush – this brush is silky soft and barely sheds), but also, it boasts SPF 50 UVA/UVB mineral sun protection (also available in SPF 30). You can expect approximately 90 days of use from one tube, which should get you through hiking or hunting season with no problems. My favorite part about Sunforgettable is that it combines a high-quality SPF with a lightly tinted finishing powder, helping to protect my face and neck from damaging rays while also smoothing out my complexion and keeping my face from turning into an oily, sweaty mess by the end of the day. It is also gluten free, paraben free and unscented. I wear the Medium shade. 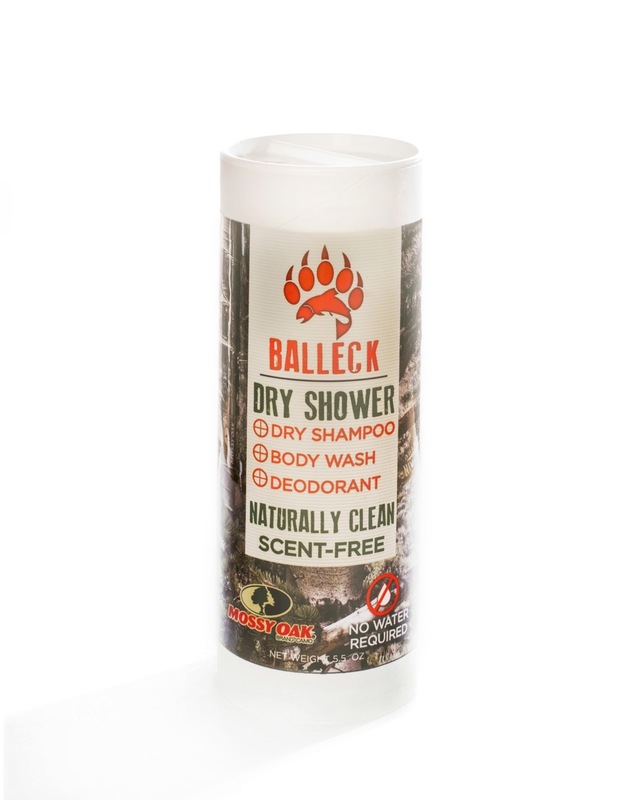 Another of my favorite products from Balleck is Dry Shower. This multifunctional powder comes in a shaker-type can, perfect for controlling the amount of product during each use. Dry Shower is pH balanced and can be used as dry shampoo, deodorant and body “wash.” Featuring baking soda, cornstarch, green clay and organic aloe leaf powder, this powder is vegan, gluten free, paraben free and has a very mild, almost undetectable scent. I love to use it as a dry shampoo because normal OTC dry shampoos are too scented for use in the field and my fine hair cannot go more than a day before it starts to get greasy and gunky. I’ve also used it on top of my scent-free, roll-on deodorant while I’m hunting because the cornstarch helps absorb sweat and keep me dry without giving me away. When Archer Outdoor Gear says these wipes are big, they really mean BIG! At 8 by 11 inches, these wipes are the same size as a piece of printer paper, which means you get a ton of surface area to scrub those extra grimy bits. While rinse-less liquid and powdered cleansers are nice, nothing beats the convenience of a cleaner with a built-in wash cloth, and that’s just what these biodegradable outdoor wipes bring to the table. Not only are they HUGE (one wipe is more than enough to do a full-body once over), there are 30 wipes to a pack – more than enough to get you from back to base camp and running water. These wipes are unscented, hypoallergenic, alcohol free, pH balanced and compostable within 28 days, meaning you can stay fresh while taking care of the environment. And in case you’ve had a bad experience with other wipes leaving your skin tight and dry like I have, these wipes are infused with aloe and Vitamin E to keep your skin soft and moisturized. 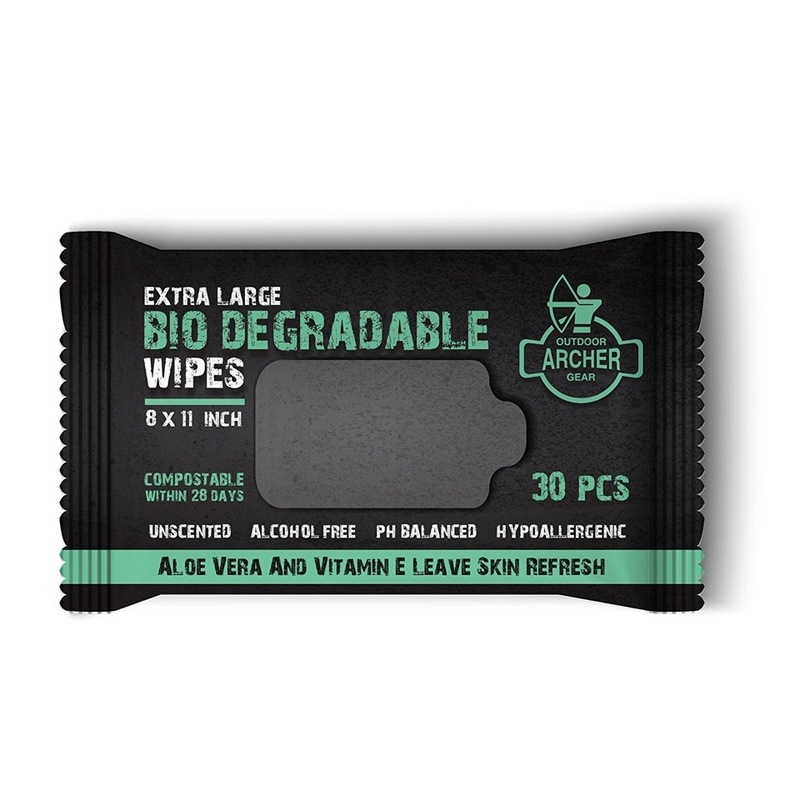 At only 23 cents per wipe, these biodegradable outdoor wipes are an affordable, water-free solution for staying fresh and clean on the trail. 30 wipes. While there are many outdoor bath and body products out there, the important thing is that you find a product that works for you, works with your skin chemistry and is easy for you to pack in AND pack out. As outdoorswomen, we should always strive to follow the principle of “Leave No Trace,” choosing products that are environmentally friendly and respectful of those that share the trail. When in doubt, always make sure you bring a plastic or reusable Ziploc bag to put your used toiletries in, and make sure they leave camp when you do. This Retro WON first appeared July 11, 2017.